Mental health issues are on the rise among the students on vocational education, we all share. Vocational education in Europe is changing and it also increases insecurity like every big change does. People attached with vocational education need time to adapt to these big changes. Teach2Heal New teaching & learning in Mental Health -project had a kick off meeting in Turnhout, Belgium. Experts in vocational education and training from 4 different countries Belgium, Denmark, Finland and The Czech Republic were gathered together to start a new Erasmus+ Strategic Partnership Project (KA2) to develop vocational education and training. Poor mental health and self-management skills influence how students learn, whether they finish their degrees, but also impacts on how students will manage their future professions. Good self-management skills will help the students feel and be more productive in their studies. Such skills as problem solving, resisting stress, communicating clearly, managing time, strengthening memory, and exercising often are all key examples of self-management skills. Students need good self-management skills to have balanced future in their future careers. As already mentioned, vocational education in Europe is changing. Two of the participant countries in the project Denmark and Finland have already gone through the reform in vocational education and training. Belgium develops vocational education on its own solid quality by collecting the best practices from other European countries and sharing their own ones to others. The Czech Republic has their focus on developing an open society and they will bring the valuable perspective of developing co-operation between education providers and work places. All the participants are eager to meet today’s needs and aspirate for the future. Vocational teachers need to be experts in teaching and learning among studying and exploring. They need to be experts in their sector specialism. Vocational teachers need to be trustworthy, team players, team teachers who respects others around. They need to have a good reflective ability and to be keen on evolving that. They must be specialists on creating an atmosphere where collective aspiration can be set free and people are keen to learn from each other. They must be explorers who want to find out the best out of everyone. To be able to reach all this, they need guidelines, coaching and support. Teach2Heal, New teaching & learning in Mental Health -project offers help, among guidelines and peer support to teachers on its 3-year period. The goals of the project are to develop different approaches to raising students and teachers´ awareness of mental health problems and increase their reflective ability and self-management skills. Experts in the project will develop reflective teaching as a futures teaching method, increase teachers motivation and enthusiasm for one’s work and improve contacts with working life. The focus will be in adopting a new mindset that will help people in the project to open themselves up to the growth among inspiring teachers, students and people in the work places to see teaching and learning in new light. Recovery thinking will involve students among teachers to see their strengths and that they are capable of affecting their learning, teaching, and entire lives. To develop mental health, and self-management skills students need to have a sense of their own capability and their own power. Same is with developing new teaching. Both students and teachers need to shift their focus on things they can do for themselves rather than what someone else will discover for them. 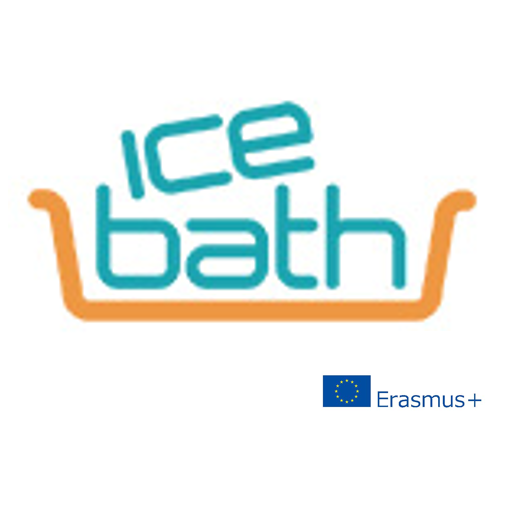 This new Erasmus+ project is acting to tackle mental health problems on vocational education and raise well-being among the students and teachers. During times of insecurity and despair, when mental health problems are very common, everyone needs a sense of hope, a sense that things can and will get better. Without hope, there is nothing to look forward to and no real possibility for positive action. Hope is a great motivator, but for hope to be truly motivating, it must be more than just an ideal. It must take form as an actual, reasonable vision of what things could look like if they were to improve. To get empowered and to be able to develop and learn new methods of teaching and learning, students and teachers need encouragement to start focusing on their strengths. They need people who inspire, support and believe in them before they are confident enough to believe in themselves. Harry Beck unlocked the most complicated problem in his time. He created London underground map to what we see today. Linear, color-coded diagram, map that is not actually a map anymore. Beck’s map was revolutionary in its simplicity. I love simple lines, good architecture and design and I have always been fascinated by London underground map. Beck has helped us to see multilayered, bustling and diverse London in simple, comprehensible form. By London underground map we get the feeling: I can manage this city! Finnish vocational education has gone trough significant changes. People involved with vocational education are invited to a change. Even though the reform seems like the most complicated problem in this time, it´s possible. We need people who want to see the result in different form that it has been. I see reform as a possibility to create new map of education. Why not to follow Becks principles when creating new in vocational education. The reform in Finnish vocational education will strengthen vocational competence in Finland. It will increase possibilities to study at workplaces and students´ individual competence needs can be met flexibly with the help of qualifications. Reform promotes students’ access to employment and by offering high quality education for them it supports smooth transition to further studies. Hop along to unlock the most complicated problem in this time and you´ll realize it is just a big wonderful challenge to create something new and revolutionary!